Perfect for hauling the new Project One cross country. The Mercedes X-Class won’t be coming to the US, that’s the official line right now anyway. Could the German carmaker change its mind on that? Unlikely, but if Tesla’s upcoming pickup proves popular, who’s to say the Silver Star won’t electrify its truck for the American market. The X-Class is currently on show at the Frankfurt Motor Show, and we think it looks the business. 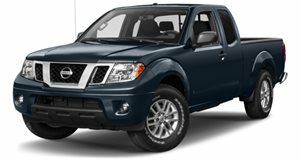 Based on the Nissan Navara platform (better known as the Frontier in the US), the truck blends rugged usability with a distinctly luxury interior. No mean feat, but one that Mercedes has managed to pull off with what is an impressive piece of kit. The rear tailgate can open 90 degrees or a full 180 with the optional rear bumper delete. There’s a ton of other options too, with the X-Class available in a trio of flavors: Pure (basic trim), Progressive (more style and comfort) and the range-topping Power. Four engine choices include a 165-horsepower inline-four available only in left-hand and rear-wheel drive, and three diesel options, two 2.3-liter inline-four units—a 163-hp unit with a single turbocharger and a 190-hp twin-turbo engine. A diesel V6 rated at 255 horses is the daddy of the four and comes with a 1.1-ton payload capacity or 3.5 ton tow rating. Power is sent through a six-speed manual or seven-speed automatic. The X-Class comes in a range of colors and is available with 17-, 18- and 19-inch wheels, while the interior is offered with six seat colors, two headliners, a 8.4-inch screen and Mercedes’ Command infotainment software. A four-wheel coil-over suspension system comes as standard as Mercedes wants the truck to ride just as well as its passenger cars despite the body-on frame chassis. The X-Class will land in Europe this November with a starting price of 37,000 Euros ($42,758). Let’s hope it makes it over to the US one day soon. We deserve it.